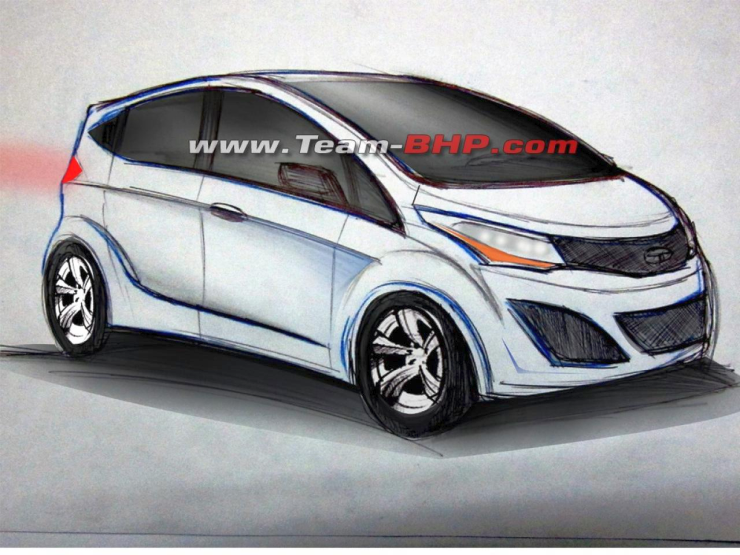 Tata Motors limited is said to be prepping up a new hatchback, dubbed the Kite, for a launch by the end of 2015. The new hatchback from Tata Motors will sit in between the Nano and the Indica in terms of price and positioning. The Kite is expected to roll out from Tata Motors’ Sanand factory at Gujarat, a manufacturing facility that is struggling to utilize its capacity optimally given the Nano’s continuing poor form at the hustings. Given the fact that the Kite is a sub-Indica hatchback, a small capacity petrol motor displacing 800-1,000 cc is more likely. Also, diesel price deregulation makes petrol powered cars a more sensible option in the sub-3 lakh rupee category, which plays host to the likes of the Maruti Alto 800 and the Hyundai Eon, apart from the Nano, of course. The Tata Kite hatchback will feature a tall-boy design like the Nano, and like the original Indica, is expected to pack in plenty of interior room. Based on the Advanced Modular Platform (AMP), the Kite could gain an automated manual transmission, a feature on which Tata Motors is betting big. With a launch rumoured to happen at the end of next year, expect test mules of the Kite to begin rolling onto Indian roads as 2015-end is just a year and half away. The new car is expected to embody Tata Motors’ new design philosophy that will make its appearance later this year, on the Bolt hatchback and the Zest compact sedan. With Tata Motors focusing on improving quality, and fit and finish levels on all its cars, expect the learning from these efforts to percolate to the Kite hatchback as well. The Kite hatchback could be the turning point for Tata Motors’ Sanand factory, inspiring workers and vendors alike. Tata Motors is said to be eyeing an ambitious 150,000 units/year production capacity for the Kite, which means that the automaker has scaled back ambition for the Nano, which will use the remaining 100,000 units/year production capacity at Sanand.